It's time to give back!!! I'm so excited today! !I can finally present you my giveaway!! When I started blogging, never in a million years did I think that anyone besides my closest friends would take the time to read about things I love and inspire me. And now a few months later, I found amazing friends who are always there to answer my endless questions, to support me and to encourage me!! People who share the same passion and love for all things handmade just like me!!! I can't begin to describe you how honored I am feeling to have met you guys:) Isn't blogging a wonderful thing?? I was thinking that my gifts should be practical and cute... and this is what I made for you!! Something to wear and something to hold...!! So with no further ado.. ta da!!! 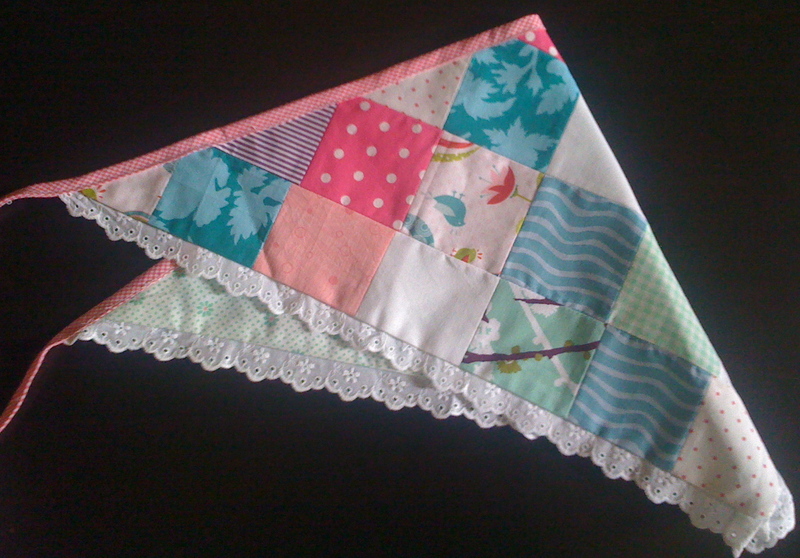 I thought that a head scarf would be so useful for your days at the beach... but not just an ordinary bandana but a lovely patchwork cotton laced one. Isn't it pretty? I couldn't just make one.... so I've got for you two head scarves with different color bindings. Aren't they darling cute? Remember on my previous post, I had a photo modeling them... Did you imagine that this would be part of my giveaway?? Now, if only my hair was long enough so it'd look better and more properly fitted.. let me refresh your memory!! But wait, wait, there is more!!! I went downtown and picked up some great quality fabrics for your tote bag. Outer is a grey-sand shade heavy cotton fabric and lining is a white-red floral quilt weight fabric. I just love the quilted front side!!! 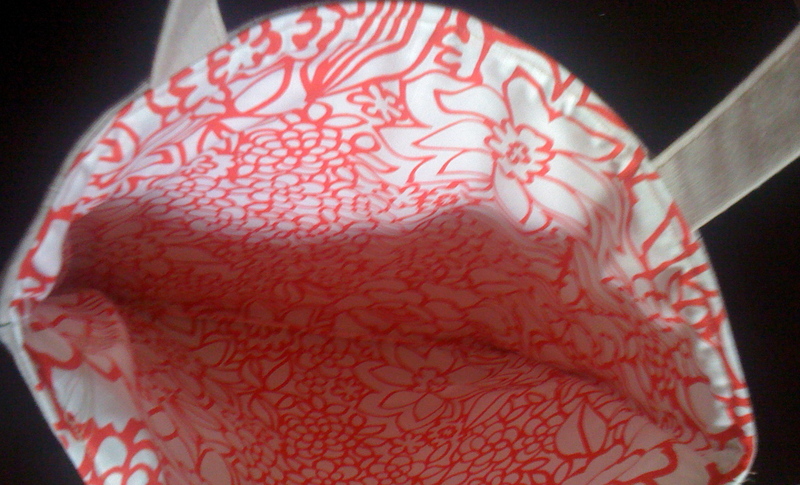 Dimensions of the bag is L: 37 cm, H: 38 cm. Not too small or too large!!! Don't you think? The winner will be picked with the kind help of Mr. True Random Number Generator and will be according to the order of the pictures (pink head scarf-lime green head scarf-mini bookshelf tote bag). Now how is this going to work! This giveaway is open only to Google Friends Connect PUBLIC followers. International readers are also welcome for this giveaway. Good Luck everyone and THANKS again for everything:)!!! Yay! Awesome giveaway!! I love that tote!! Ahh!!! I'm a follower :-) Love your blog and you are a great friend!! I'm already follower and huuuuuuge faaaaan!!! 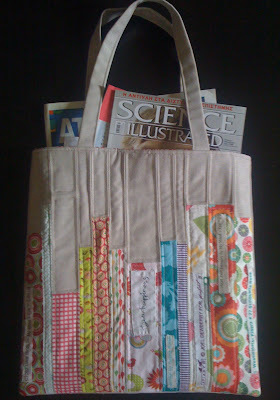 I love the tote - I've also marked Elizabeth's tutorial for later! Congratulations! Here's to even more years of blogging and beautiful creations! I follow you :) And love your blog! I like you on FB (lightningbugz) :)!! Of course I already follow you and as you know I love your super cute blog. These are darling!! Thanks for the great giveaway! I follow you!!! That tote bag is the most darling thing ever!!! oh my goodness this is so cute! I am your newest follower! 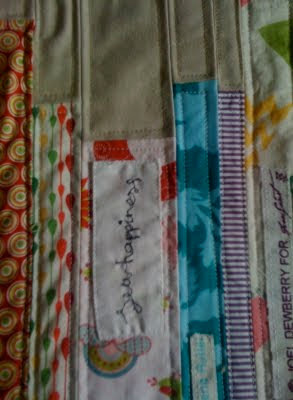 I like SewHappiness on Facebook! I'm a follower. Love the tote bag!! I'm happily following you via gfc. Such an awesome giveaway :) Please link this up at Market Your Biz and Giveaways this Tuesday at 5 pm, PST so many others can join in. Κάθε φορά που μπαίνω στο σπιτάκι σου ταξιδεύω..και όχι μόνο, τώρα και στο facebook! I love your super giveaway! Να έχεις μια όμορφη και δημιουργική εβδομάδα..
Yay! I am a follower and I love your giveaway items! I am a follower and I will be happy if I win !!! I follow on FB too!!!! Wow, Eleni! How cute!! Count me in for sure. Can we still enter if we don't live in Greece? I follow you on GFC. Thanks for the email to be sure we all knew about this! :) That tote is lovely! 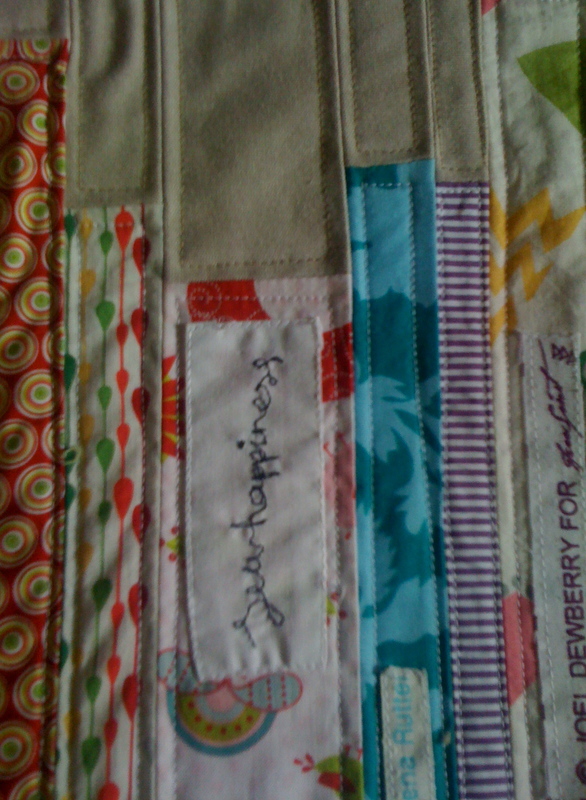 I liked SewHappiness on facebook! gfc follower as jhb. Thank you for the chance. So cute! I am a follower! I follow you via GFC. What a cute giveaway!! Thanks for the giveaway! I'm a new GFC follower! So many awesome projects!! 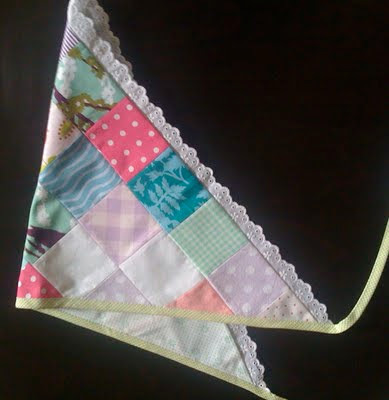 I 'like' SewHappiness on facebook!! New follower! Found you on Homemaker on a Dime blog! I've been your bestest follower all this time. Thanks for linking up at Market Your Biz and Giveaways :) Hope I win this! I would love any of those fun fabric items!!! Thanks for such a fun giveaway. :) I have been a follower for some time. I might need a break! !